Not French and would like to be an au pair in France? Go to this page! You will have a major role in the children’s lives and their personal development. Show that you are enthusiastic, available and willing. You must have experience working with children (outside your own family) – baby-sitting, summer camps etc. PLEASE NOTE: Not all of our European destinations are open to male au pairs. Contact us to find out if your application is eligible for your preferred country. Our Au Pair in Australia and Au Pair in New Zealand prgrammes are open to male au pairs. Sign-up for free: we help you all throughout your application and to put together your dossier. PLEASE NOTE: the payment is made after you have been introduced to your first prospective host familyprésentation. PLEASE NOTE: the payment is made after your placement with a host family has been confirmed. You will be paid in the form of an allowance. Your work in the host family is not a paid job but is considered more as household help. In exchange, you will be have your own room and meals will be provided by your host family for free and you will receive an allowance depending on your work hours, your host family and the country that you are staying in. Generally, the allowance is at least €80 per week. Placements can last between 2 months (in summer) and 12 months. The AFJ team is available every day of the week, all throughout your trip – before, during and after your placement. We help you for free to put together your dossier. We won’t ask you for any payments and fees during the application process. AFJ is a founding member of the UFAAP and IAPA and is thus committed to respectecting the quality policies of these organisations. We help all of our candidates who would like help to prepare for your interview with your prospective family free of charge. Depuis plus de 30 ans, nous plaçons des Au Pair dans l’Europe entière. Contact us if your preferred destination is not on this list. Click here for a destination outside of Europe. 1. Sign-up on our website to receive an au pair registration form. Click here to register. 3. 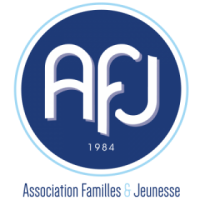 AFJ sends your dossier to our carefully selected foreign agents. 4. Read through the families’ profiles and contact the one that interests you most for an interview. 5. When a family that interests you agrees to work with you, sign your au pair placement agreement. 6. Take out insurance and book your flights. 7. Make the most of your time abroad. 8. Come back more mature and with lots of wonderful memories.